The cargo carried by the Henrietta Marie reveals the voyage’s purpose. Perhaps the most telling single item is the 33 tons of iron consigned to the voyage by investor Anthony Tournay. Tournay had grown rich during the recent war with France. He had become a major supplier of the iron hoops that bound the barrels used by the Royal Navy for everything from water to paint. Now that peace prevailed, he found a market for his stock iron in the slave trade. Iron bars were already the currency standard between Africans and Europeans and bars like Tournay’s were a staple cargo aboard all merchant slavers. 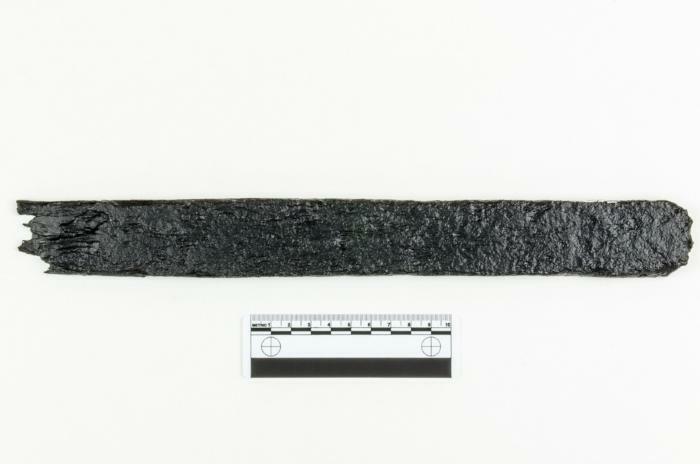 The twenty-eight iron bars that have been recovered from the wreck site range from ten and a half to twenty-two and three-quarter inches long. Their average weight is under 3.5 pounds. Assuming that the 33 tons of iron that appears in the bill of lading for the 1699 voyage refers to these bars, the Henrietta Marie would have been carrying 18,000, with an average value in London of 6 pence per bar. To ensure a common understanding of the relative worth of the other goods, they too were assigned a value in iron. This meant that actual bars had to be used in every transaction, rather, the price for a slave might be made up of several types of merchandize equal to the value agreed upon.